The very united classes of Leaving Cert 1970, met in the Strand Hotel, on the 9th October 2010, to mark the occasion of 40 years since we finished school. So strong was our friendship during the years we spent at the Crescent, we decided to track and invite fellow classmates that left the school prior to 1970. It was great to learn from these guys that they loved their time in the Crescent, and missed it when they went elsewhere. 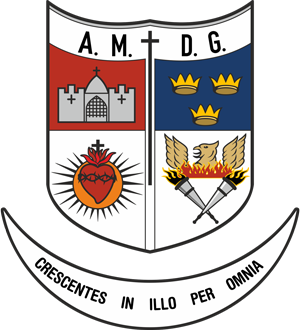 They were thrilled to have been traced, and enthusiastically attended the reunion.We have held reunions in 1980 at the Dunraven Arms Hotel, Adare. 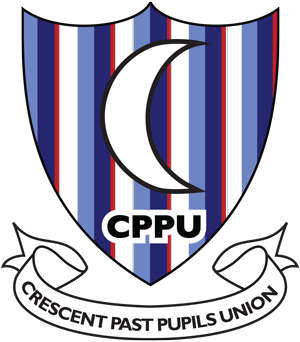 The next one was in 1987, when a hastily arranged reunion was took place in the old Crescent College basement in the form of a debate. The topic being “Should scooting in the school yard remain banned?” You can imagine the fun had by all debating this topic. When the debate was formally closed, it continued no doubt, across the road in South’s Pub. There were no more reunions until 2008, when on a whim, Brien Morris, Peter Ireton, Wilton Dennehy and Glenn Quin came together and decided to arrange a reunion. The attitude being, why should we wait any longer? Living in the age of email and Google made finding guys quite easy. This perhaps encouraged us to proceed with the great idea of tracking pre-1970 classmates successfully. So, on October 11th 2008 we all met in the Clarion Hotel, for a hugely enjoyable evening. 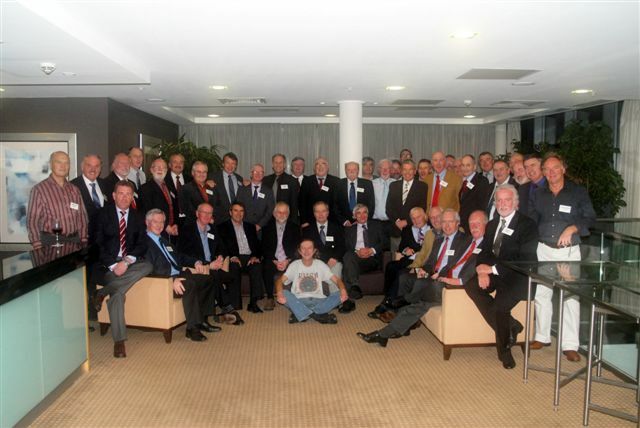 Such was the success that everyone agreed we should meet again in 2010 to mark the occasion of 40 years.The 2010 reunion at the Strand Hotel was held in the City View Suite on the sixth floor. 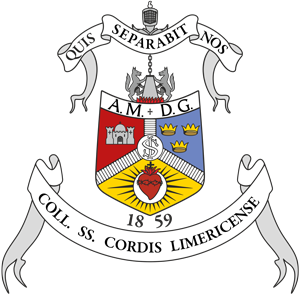 The room offered a panoramic view of the city, which was a thrill for the many guys that now make infrequent visits to Limerick. To say they were impressed with the many changes in the city would be an understatement. A remarkable coincidence occurred on the night, in that, at the same hotel, in a different room, the Laurel Hill Girls of 1970 also held a reunion. Many old friendships were recalled when we met the girls in the hotel foyer both before and after the reunions. The 2010 reunion was attended, obviously, by friends from the four corners of Ireland, four from the UK, and one travelled all the way from Alberta, Canada.Points of interest from the 2008 and 2010 reunions are; of the 48 of us who sat the LC in 1970, we have recently met 39. The remaining nine are made up of six being distant exiles, and three are deceased.Having met twice in three years, the intention now is to not meet again until 2015 for our 45th. Brien Morris, Christy Dunworth, Pat Casey, Frank Dillon, Paul O’Leary, John O’Leary, John O’Toole, Derry O’Connell, Gerry O’Shea, & Turlough O’Brien. Seated L – R: Gary Curtin, Michael O’Sullivan, Des Glancy, Michael Harty, John Reardon, Maurice Leahy, Nessan O’Flynn, Richard Hofler, Hayman Harris, Wilton Dennehy, Tim Dante & Rod Gallivan.Â Â Â Â Â Â In Front:Â Â Jerh Molloy. Absent Exiles: Eugene Earlie (Boston), Joe Earls (Toronto), Sean Kirby (New Jersey), Michael O’Meara (Florida), Derry O’Neill (Michigan) & Noel Staunton (Sydney). Deceased: Brian Corbett, Barry O’Brien & Ger Ryan. 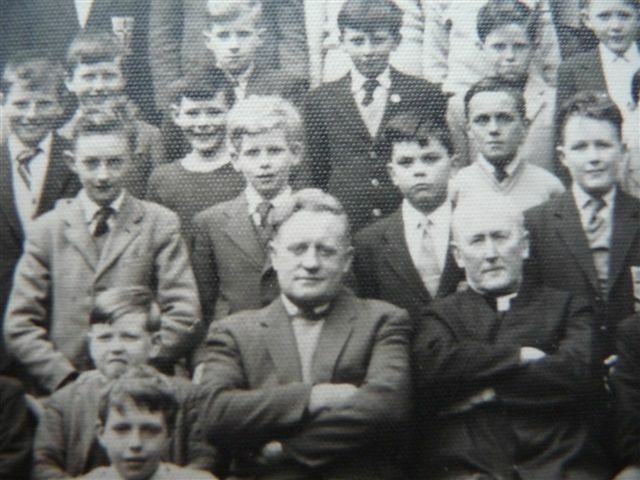 For an image of what these characters looked like in 1964 … in the company of Mr. Hughes and Fr. Tormey SJ.